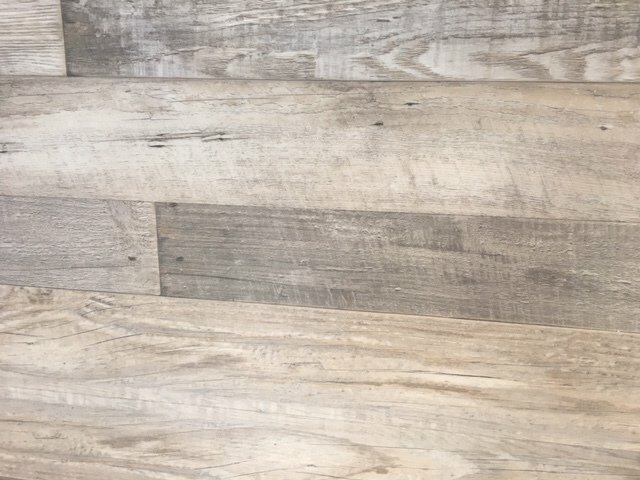 Luxury Vinyl Plank in Williamsburg Ash. Locking and floating vinyl plank flooring. Plank has vinyl core with padding attached. Plank is 7" x 48" and 7.5 mm thick. There is 18.91 sf per box.